Cheap Pop Culture Episode 51 : The Downfall of Sony Pictures? 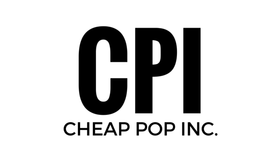 - Cheap Pop Inc. - The most unprofessional site on the internet. Home Cheap Pop Culture Cheap Pop Culture Episode 51 : The Downfall of Sony Pictures? Cheap Pop Culture Episode 51 : The Downfall of Sony Pictures? We are back! This week, we discuss the weekend box office. We then talk about the rough year Sony is having, The Halloween remake, Spiderman Homecoming, and more!